of the Year Award", will be presented at the 2019 Dayton DX Dinner. The Southwest Ohio DX Association, (SWODXA), has agreed to present the award at their annual DX Dinner, which, in the words of IREF President Mike Crownover AD5A, " will add prestige and visibility to the award and will provide the appropriate recognition for IOTA Expeditioners". 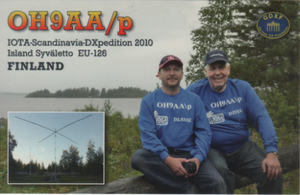 The new award from IREF will join the list of awards presented annually at SWODXA DX Dinner including DXpedition of the Year, DXpeditioner of the Year(DXCC) and the presentation of the CQ DX Hall of Fame inductees. Details on the IOTA DXpeditioner of the Year award can be found at https://irefradio.com/activator-award/ and the competition begins January 1,2018.
spring on the official RSGB IOTA web-site. 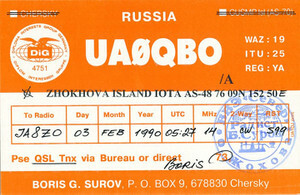 The blank QSLs for VK9AR and VK9AR/6 arrived in mid December. 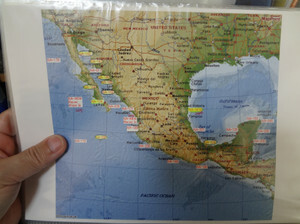 All cards/envelopes for Europe/North America/South America have been done and sent in one parcel Registered Post to USA where Tony W4FOA will put stamps on andpost them. Doing this saves a lot of $$. Cards for Oceania and Asia are almost finished and will be posted on 27 December directly from Australia. People should get their cards by mid-late January. 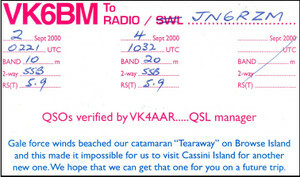 It’s funny how impatient people get about QSLs these days. 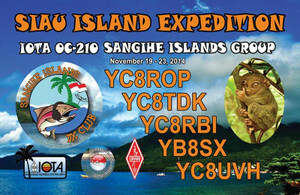 Remember that I returned home from this DXpedition only about 5 weeks ago! DU9/R4WAA and DU9/RZ3FW include ONLY direct OQRS submissions. 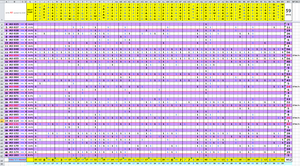 The full logs (named ‘..._OC175’) have been delayed by the activators. 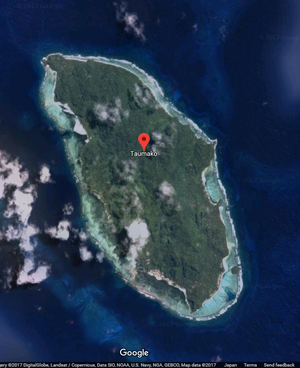 Craig VK5CE invites you to visit the new VK IOTA website at www.vkiota.wordpress.com The website page “What VK IOTA’s do you need” asks you about the VK islands you’d like to see activated. 2017 was certainly my most active year of DXpeditioning. It started with the common ones of OC-228, OC-196, OC-233 and then the rare, wild and adventurous ones in October OC-198 and November OC-216 and OC-234. So it would be great if you could take a few minutes to visit the site and take the poll to help guide my future IOTA activations. 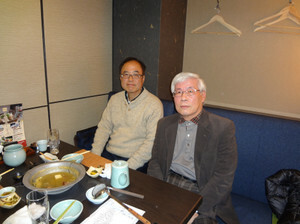 I received advice from Club Log Matching from Shu JN6RZM. I do not need your card. We would like to use Club Log Matching system. 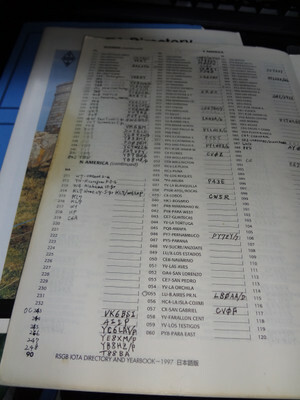 I understand for your Club Log QSO Matching system. 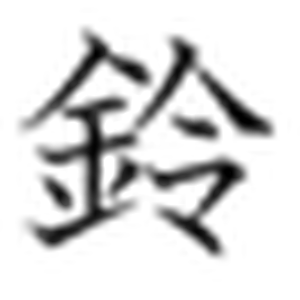 (including within a ZIP) to Club Log. If you can, please send the following items your e-mail to IOTA Ltd VE3LYC Cezar. 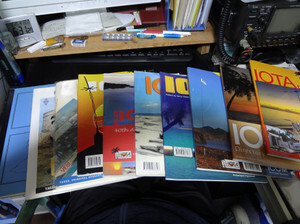 1) Title "OC-144 YE4IJ Club Log Matching"
You can give to all QSOed stations for IOTA OC-144. Please support again for my JA friends if possible. Some of you already noticed that Club Log doesn't allow you to upload a QSO record for a callsign that includes an underscore character (such as AA1AA_XX-yyy). Consequently, our current IOTA QSO matching procedure for non-standard log names including an underscore character doesn't work. We are in contact with Club Log to fix this issue. In the meantime, please be patient. We will let everyone know, on this forum, when this problem has been resolved. I have had to ask for a copy of the log as I only had the cw log on my pc. Once I get it I will upload to clublog. Have a good weekend. EU-102), UE1RCV/1/EU-188, UE1RFF/1/EU-086, UE1RFF/1/EU-102. See UA1QV on qrz.com for traditional QSLling (direct only) instructions. 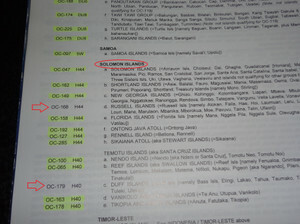 Most-Wanted IOTA in DU, OC-105. Group is currently shown as 3.4% (0.3%) claimed by IOTA chasers. 13.4% of chasers) during the same period. 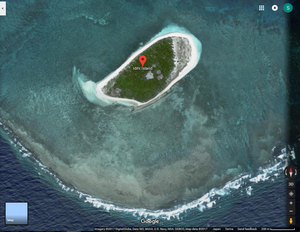 OC-179 H40 Taumako Island Duff Islands website open! 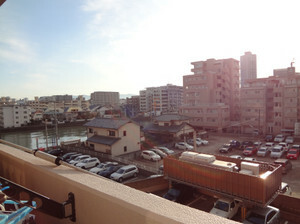 A simple website for this project is now available at http://oc-179.weebly.com. It will be updated as needed, in order to keep the community informed promptly on any relevant aspects. YE4IJ等へはメールで説明してみたいと思います。YE4IJの理解と手続きがメールでIOTA LtdのVE3LYCへ送られ、確認後、随時(不定期)に更新されるとのことです。(30日はかからない)　TNX JA9IFF Nakajima-san! 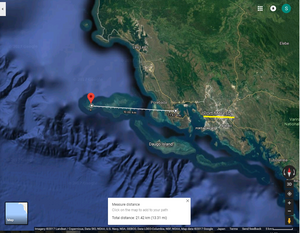 in the drawing competition at school.I apologize to you and my JA friends..
(1) IOTA Validation Team aims to identify, check, accept, and link logs uploaded at Club Log by IOTA operations carried out starting 1 Jan 2016 to islands which are part of IOTA references with MWL < 50% (MWL stands for Most Wanted Listing). (2) Additionally, I have identified, checked, accepted, and linked about 5,000 logs at Club Log for IOTA operations carried out prior to 1 Jan 2016. 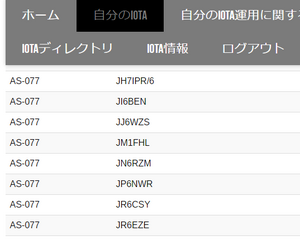 My focus was on operations from IOTA group with MWL < 50%, but I have also added a number of operations from MWL > 50%. (3) Until now the above was done only for logs with standard names, i.e. 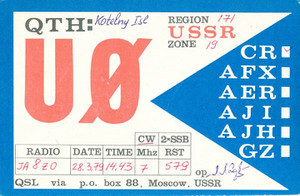 identical to the callsigns used during the operation. 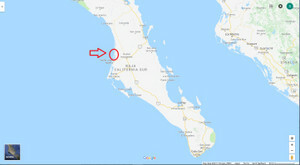 The process of reliably identifying the island name, IOTA reference, and the period of time is not trivial in case of island jumping, IOTA jumping, and it is virtually impossible without the operator’s assistance in case of stations using the same callsign for mainland and island operations. 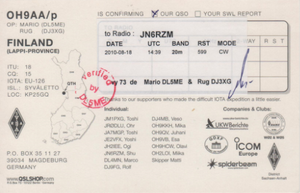 If such information cannot be obtained, the respective log cannot be offered for QSO matching, despite the fact that we are very much aware that if does include IOTA operations. A relatively small percentage of IOTA operators have so far provided useful, reliable feedback to our specific requests related to their old activations. (4) I have just finished checking over 1300 old operations, which will be added for QSO matching in the next few days. It was a laborious task. Worth noting, many of the logs for these operations have non-standard names. As you may recall, we promised to address this issue, and I am happy to report that we will be able to provide the membership soon with a step-by-step procedure how to claim credits based on these type of logs. (5) We will not provide a list of the stations which decided to delay the QSO matching for their operations. If you cannot obtain a QSO match with an operation with MWL < 50% after the 30-day waiting period, it is most likely that the QSO matching was delayed. 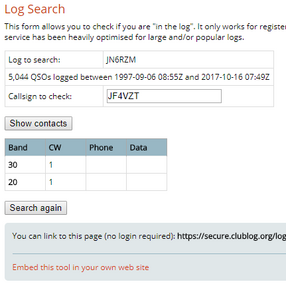 (6) While we attempt to identify every single operation with MWL < 50%, and then search for its possible log at Club Log in order to offer it for QSO matching, it is possible to miss one every now and then. If you notice any such omission, please don’t hesitate to email us at info@iota-world.org<mailto:info@iota-world.org>. Any report should include the callsign, island name, IOTA reference, approximate period of activity, and the name of the log at Club Log. (7) Once the addition indicated at point 3 above will be implemented, IOTA Ltd will be able to offer QSO matching for about 10% of all the IOTA operations in our database. 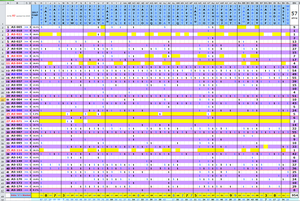 Meanwhile, based on the statistics available for 2016-17, note that 50% of all IOTA operations with MWL < 50% upload their logs at Club Log. 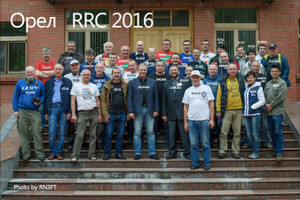 (8) As the IOTA Management reported at the last October RSGB Convention, the total number of credits claimed by the membership in 2017 compared with the same period of 2016 has increased by more than 50%, despite a reduction by about 20% in those claimed through QSL cards. 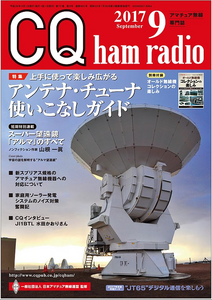 This clearly shows that the implementation of the QSO matching has been very successful. (9) Nevertheless, this obviously remains a work in progress, as we will continue to add operations and improve the system. 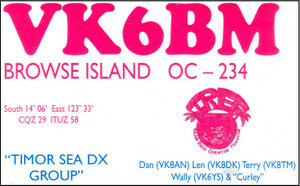 Contact: yan.fw@mail.ru directly for any QSL enquiries. I am writing a book to commemorate 20 years of IREF. 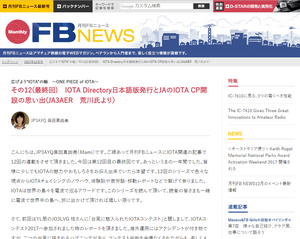 I am also including some history of IOTA as well. I do not want this to be a one sided story and I am looking for hams that are fluent in English and other languages that can help me gather some of this history from the non English speaking hams. I am currently trying to find a IOTA enthusiast that can help with the JA and BY stations. These guys English is way better then my Mandarin or Japanese but I really want to make sure I am getting the whole story. If you are interested in helping with this piece of the project please email me. Also if you have any interesting piece of IOTA history you would like to share I am collecting history from as many hams as I can to add to the book. it with money, we should use other means. please visit the new website at the link above. organization on the plaque along with IREF Logo. Please visit the IREF Facebook page to keep up with current activities. Glad to get you in the log from Ashmore Reef.